When your professor tells you to choose your own topic for an argumentative essay, you’re confused. At one point, you feel relief for being able to write about whatever you want. On the other side, it’s not that easy to think of a topic for an argumentative essay. It should enable you to express your clear point of view, which is different from someone else’s point of view. This means you shouldn’t go for obvious facts like “the sky is blue and the grass is green.” What’s to argue there? The topic should leave space for putting up a good fight. The type of paper says it all – argumentative. Can you support your statement with valid arguments? Choose a topic you can research. Can you locate enough sources you can reference? Are there any studies, statistics, examples, and facts supporting your point of view? Choose a topic you have a clear position on. When you have an option to choose, you can make it easy on yourself. Of course you can opt for a topic you don’t feel certain. You’ll do the research and decide what point of view you want to take. 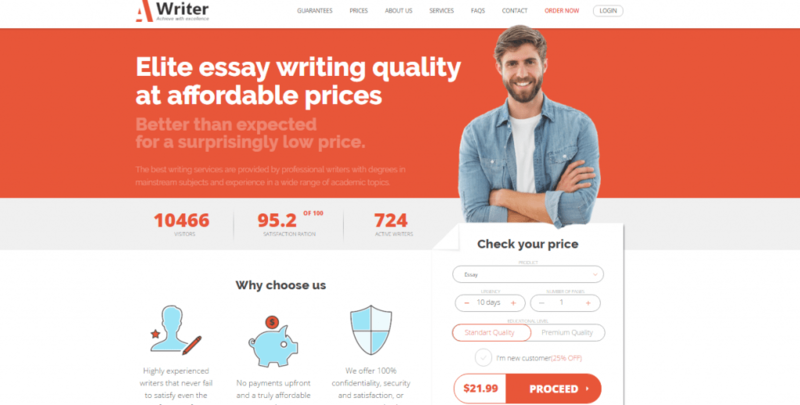 However, the essay will be much more powerful when you have a clear starting point. For example: how do you feel about the gun control issue? If you already have a stand, it will be easy for you to write a thesis statement and find supporting arguments. If you don’t, you’ll have to conduct thorough research, understand both points of view, and pick one. It’s a good idea to choose an emotional topic. Although argumentative essay writing is based on facts and evidence, it still leaves you space to appeal to the reader’s emotions. All that talk seems nice. You need a powerful topic that leaves space for research and lets you express a point of view that you’ll support with authoritative arguments. The theory is clear, but you still need practical examples of argumentative essay topics, which will help you choose your own topic. Don’t worry; we have a list for you. How Does Religion Justify the Existence of Evil? Religion cannot justify evil. Evil exists, so God doesn’t exist. Evil is justified as part of God’s creation, and has a greater purpose than the one we usually see. Whichever way you’ll go, you’ll encounter paradoxes and obstacles. You’ll have a lot of research to do, so you’ll understand the religion you try to criticize or justify. Should Marijuana Be Legal for Everyone? This seems like a mainstream topic, but there’s a lot to discuss. You’ll find a great deal of medical studies that show the benefits and risk of marijuana use. Whatever your point of view is, you’ll find tons of arguments for and against it. 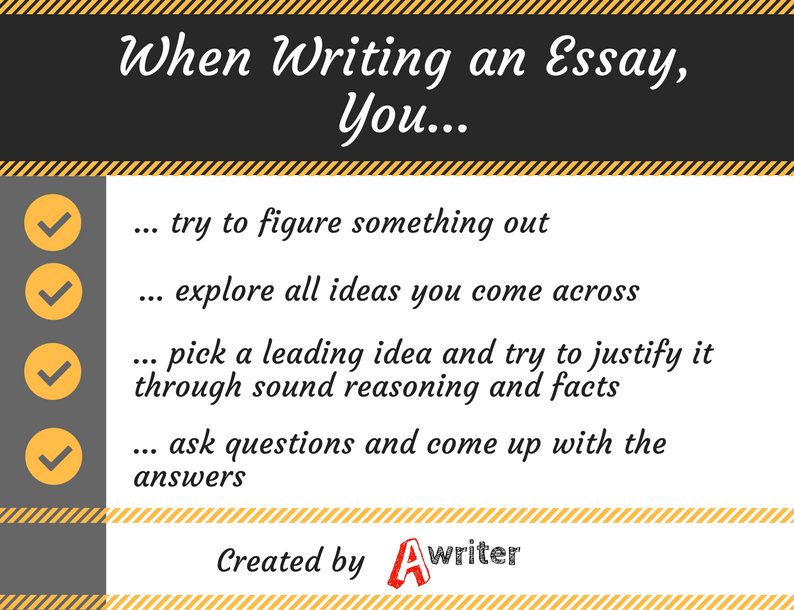 Since it’s a popular topic, you’ll have to be really creative to make your essay unique. Don’t say what your professor has heard hundreds of times before. Bureaucracy provides millions of jobs. But is it necessary for a country’s economy? We can agree that a country needs rules and people who make sure those rules are maintained. But does the bureaucratic system have to be that big, complicated, and expensive? You’ll have many points to cover and discuss if you choose this topic. Should Americans Finally Give Up on Democracy? This is a topic that allows you to show your sarcastic side. If you don’t like the current political situation and you think that the ideal of democracy is far from being achieved, you can express your arguments through humor. Since we can’t reach that ideal, maybe it’s about time we gave up on it? This is an emotional topic that can include your own experience. However, you can also conduct research to find examples that prove your point. The beauty industry is massive. It creates jobs and it’s worth millions. Do we suffer the consequences? Most teenagers start smoking because their friends smoke, so they want to belong in a group. In that way, smoking improves a teenager’s social life. Since not everyone wants smokers around, you have to go outside the room to have a smoke. You’re missing the fun because of your bad habit. Does College Have to Be Expensive? No one wants to pay thousands of dollars for a single year at college. Still, we keep doing it. It’s like we understand why education has to cost that much and we comply with the norms. This topic allows you to explore the causes that make the tuition fees go up all the time. You can also outline potential solutions, which would make college more affordable for students. This is a very controversial topic. No matter what you say, someone will be offended by it. Still, it’s an important issue and you should feel free to express your opinions. Be brave! Do the research and find facts that prove your point of view. Try to understand the other side and do not write in offensive tone! Could World War II Have Been Avoided? World War II didn’t happen just because of Hitler. If he didn’t exist, another person would probably appear to lead the world in the situation whose direction was set way before. This topic is very complex. It challenges you to explore specific circumstances and decisions of the leadership of different countries. Are High School Students Pressured to Go to College? Do people go to college because they want to, or are they applying because the system leads them towards that point? Are we being pressured by society, parents, and teachers? Why can’t many students do what they really want to do? Did you like some of these topics? Here’s an idea: pick one and write an argumentative essay today. It will be a nice trigger for practice, and you know you can only get better at writing when you practice. It’s normal for college tuition and fees to be rising. Whether you’re paying for nursery school, private elementary or high school, college, or university, the prices will be higher by the year. Inflation has that effect on all prices. If you look at the information provided by the Bureau of Labor Statistics, you’ll notice that the indexes grow. Whether it’s accommodation, recreation, or anything else, you’re usually paying a higher price as time goes by. However, the house prices and consumer price grow at a more rapid pace when compared to the average hourly wage. The expenses for college tuition and fees, as well as educational books and supplies, grow at an even faster pace. As usual, the tuition and fees are expected to get higher in 2018, too. The current price for Brown university, for example, is $51,366. The estimated tuition and fees for 2018 are $53,468. As an average of all Ivy League institutions, the fees will grow from $50,268 in 2017 to $52,259 in 2018. Ask any student or family with college students, and they will tell you the same thing: college expenses are getting out of control. Is there a justification behind the rapid growth of the prices for education? Let’s explore that issue a bit deeper. Have you noticed how your family is paying bigger bills for fuel, electricity, water, food, clothes, and everything else? The average salaries grow, too. The wages in the USA increased by 4.47% in January 2017 when compared to the same month of the previous year. From 1960 to 2017, the average growth of wages in the USA was 6.29%. This means that universities are paying more to the professors, assistant professors, librarians, and all other staff. Their bills for electricity and travel expenses are higher, too. As a result, they have to charge higher tuition and fees. Have you heard of the policy of tenure? Many universities give professors permanent employment after a probationary period. Regardless of their productivity, these professors are guaranteed employment for life. This is a contributing factor to the rise of expenses that universities have. Let’s rely on the details provided by the Bureau of Labor Statistics again. You’ll notice that as the educational attainment rises in the chart, the unemployment rates decrease and the earnings increase. People with a high school diploma have median weekly earnings of $678, and the unemployment rate for this category is 5.4%. In comparison, the category of people with a Bachelor’s degree earns an average of $1,137 per week and has an unemployment rate of 2.8%. People with a Professional degree earn $1,730 on an average, and have the lowest unemployment rate of 1.5%. Is there anyone who doesn’t want a higher salary and higher chances for employment? That’s why more people decide to go to college. As a result of the increased demand, the price rises, too. That’s one of the main principles of economy. Every single university in this country is competitive. These institutions don’t wait to see how many applicants they get each year. They need to attract them. The educational industry is just like any other marketplace, and the student is the customer. Thus, they compete for a higher rank. It’s a costly competition, since it means investing in new facilities, providing better food, implementing technology into the educational processes, and (most of all) marketing. With the rise of students’ expectations, the investments on campus rise, too. Who pays for that? The students, of course. Universities receive financial support from both the federal and state governments. The federal government support is aimed towards financial aid for students. The states, on the other hand, primarily focus their funds towards general operations of public institutions. During and after the Great Recession, the states started giving less money to universities. Over the period from 2008 to 2013, the state-level spendings for general-purpose appropriations for institutions fell by 21% ($14.1 billion). Although we recovered from the recession, the states are still funding higher education below pre-recession levels. 46 states (all except North Dakota, Wyoming, Wisconsin, and Montana) were funding less money per students in the 2015-2016 school year when compared to the amounts they spent before the recession. When compared to the per-student funding since the start of the recession, today’s rates are down by more than 30% in 9 states (including Pennsylvania, Illinois, and South Carolina). Since the universities are getting less money from the states, they have to fill in that gap from somewhere. Any ideas who’s paying? The rise in college expenses is somewhat justified. But, are you really getting the value you’re paying for? That’s hard to say. Not all students are getting enough value for their money. There’s another serious problem: unless you’re getting financial aid, you’re accumulating a huge debt over your years at college or university. The national student loan surpassed $1.4 trillion. That’s more than the total credit card debt in the USA. On an average, every borrower from the Class of 2016 owes $37,172. That’s a lot! As education costs get higher and the growth of household income doesn’t keep that pace, we’re getting into an unsustainable situation. It’s hard to predict how much longer this trend will go on, but for now we’re still seeing universities rising the fees and students playing by their rules. Do we have a choice? Is this a bubble? Will it burst? If the students and their families are brought to the point when they can’t possibly pay, the demand will naturally decrease. The universities will have no other choice but to reduce the tuition and fees. There’s another possible outcome: students will keep getting into debt, with the intention to get higher-paying jobs after graduation and give that money back. Will this trend continue forever? Only time will tell.